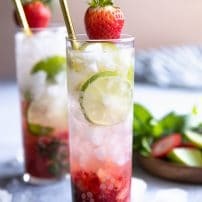 The Strawberry Mojito, a fun twist on the classic Cuban cocktail, is a refreshing mix of strawberries, rum, simple syrup, fresh lime juice, mint, and bubbly club soda. 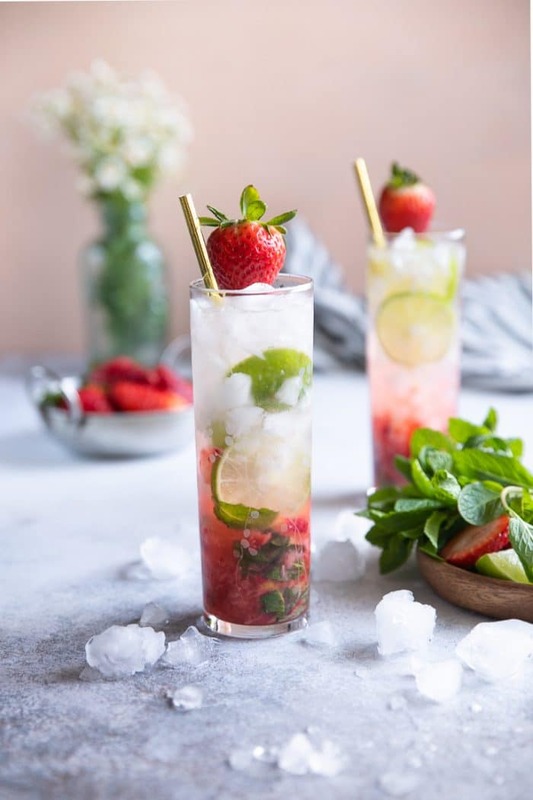 Learn how to make this 5-minute Strawberry Mojito Recipe and enjoy all summer long! 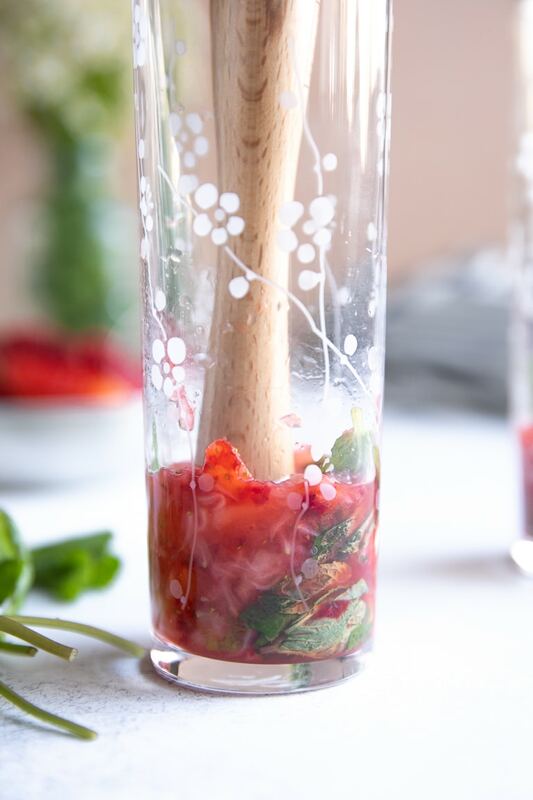 As temperatures warm and markets start to fill with fresh fruit, I have one thing on my mind- Strawberry Mojitos. After sharing how to make a mojito with you guys, I thought it would be fun to share this fun twist on the classic. 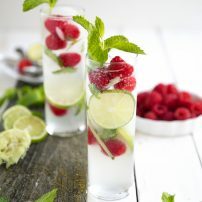 Oh my, my friends, if you’re a fan of mojitos, or even if you’re not, you’re going to love this crisp, cold, fizzy, summer cocktail. Whether you already know that you love this classic rum cocktail, or you’re looking for something light and delicious that won’t leave you with a nasty hangover (please drink responsibly), this is the cocktail for you! One of my go-to cocktail favorites; right up there with this cucumber gin and tonic and these spicy orange margaritas. The ingredients in this classic Mojito recipe are just SIX (not including the ice, because, well…ice). But, the best part about this fun and fruity mojito? No crazy ingredients that you’ll use once and never use again. Rum. White rum is traditional and what is used in this classic Mojito recipe. That said, there are many variations with some calling for gold rum, dark rum, gin, or even vodka. Fresh Mint. Traditionally, this cocktail was made using Yerba Buena. However, I doubt most of us can get our hands on this aromatic plant here in the US, so we have come to love and appreciate the mojito with mint. Fresh Limes + Juice. Only the fresh stuff. I even underlined it so you know I mean business. Sugar. Traditionally, Mojitos were made with sugar cane juice, but I didn’t have that, so I used simple syrup. White granulated sugar or honey will work just as well. Club Soda. Unsweetened bubbly water that will be added to top-off each glass. Ice. Because otherwise, it would taste gross. No, I do not measure my ice. Cocktail Muddler. 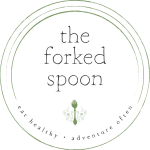 Theoretically, you could use a spoon, but a muddler makes a world of difference. Tall glasses such as these highball or Collins glasses. Straws. 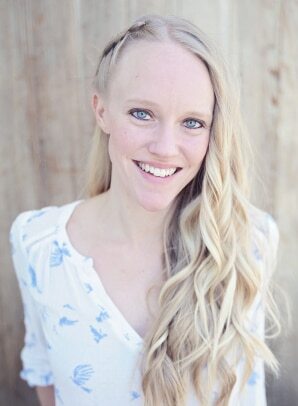 I currently have my eye on these re-usable bamboo, metal, and glass straws. Start by adding 8-10 mint leaves to a highball glass. You’ll need a glass that is approximately 12-14 ounces. Add two lime wedges (1/4 of a lime) and the chopped strawberries. Very gently muddle the mint, lime, and strawberries. Note- Do not shred your mint as doing so makes the drink bitter (and causes mint to get stuck in your straw). No Bueno. If you prefer you can simply add the lime juice to the glass, however, I find that gently muddling the rind adds extra flavor. Add the two remaining lime wedges (1/4 of a lime) and the simple syrup to the glass. Muddle again, but only enough to release the lime juice and combine with the simple syrup. Fill each glass with ice. It doesn’t really matter what kind of ice you use, just so long as you use ice. Finally, pour the rum directly over the ice and top off with club soda. Stir gently just to combine and garnish with lime and fresh sprigs of mint, if desired. 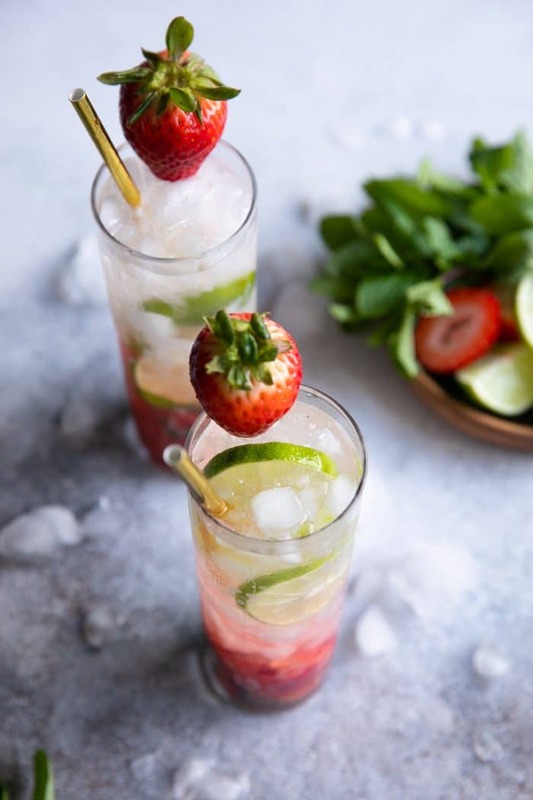 A light white rum, such as Bacardi Superior, is recommended for this Strawberry Mojito Recipe. Please. Please. Use fresh limes. Yes, concentrated lime juice is easier, but you can only get the fresh taste of lime juice from…fresh limes. Quality counts. With only six ingredients, each one is super important. Just like the lime juice, you want to be sure to use a good tasting, quality rum (or at least one that you like). Some favorites include Bacardi Superior or Cana Brava. 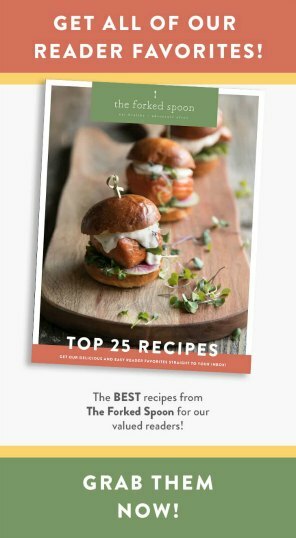 Avoid over-muddling. In other words, gently, yet firmly, press the limes and mint with your muddler (like this one) and gently twist. We’re not trying to rip the mint to shreds, that just makes your mojito bitter. Not a fan of mint? Try basil instead. Easily make this yummy cocktail… a mocktail! Simply omit the rum and replace with extra club soda. Make it a pitcher. Apply all the same steps, simply multiply the recipe by how many drinks you’re looking to make. That said, this strawberry mojito recipe is best enjoyed immediately. 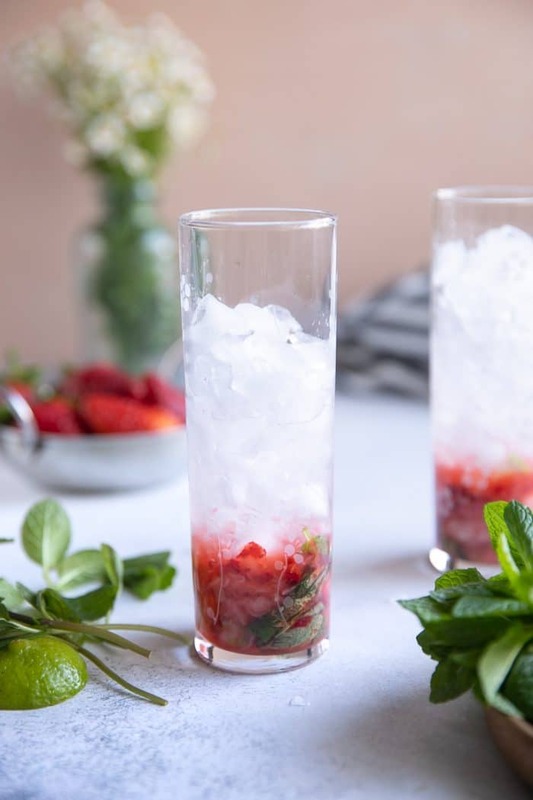 If you try making this Strawberry Mojito Recipe, please leave me a comment and let me know! I always love to hear your thoughts. 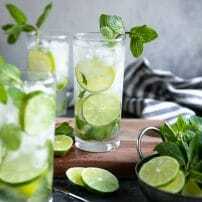 DON’T FORGET TO PIN AND SHARE THIS MOJITO RECIPE AND SHARE IT AT YOUR NEXT PARTY! 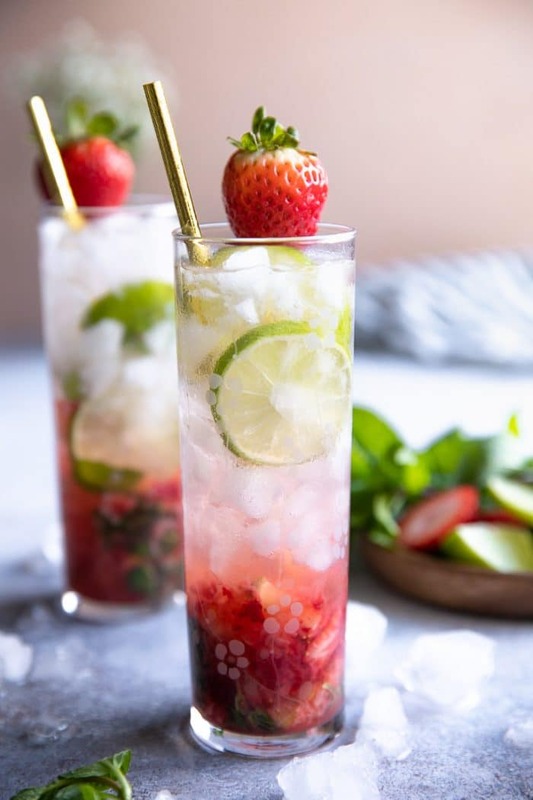 The Strawberry Mojito, a fun twist on the classic Cuban cocktail, is a refreshing mix of strawberries, rum, simple syrup, fresh lime juice, mint, and bubbly club soda. 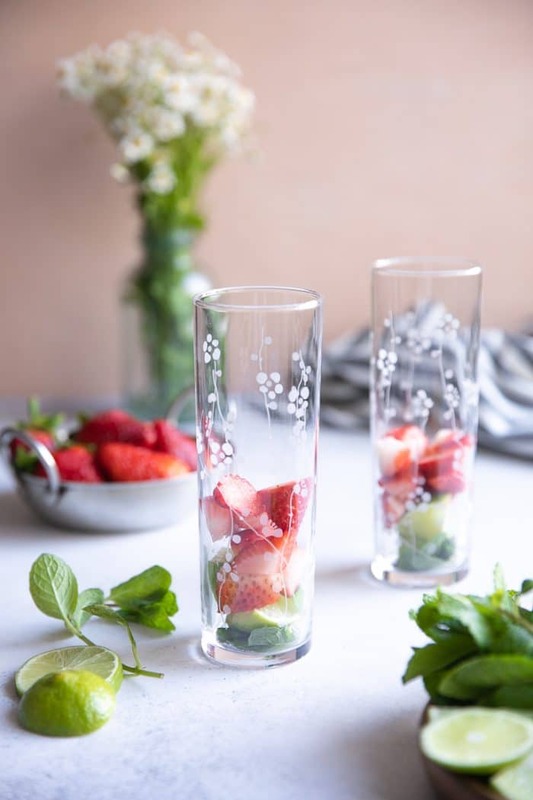 Add the mint leaves, two lime wedges, and strawberries to a highball or collins glass. 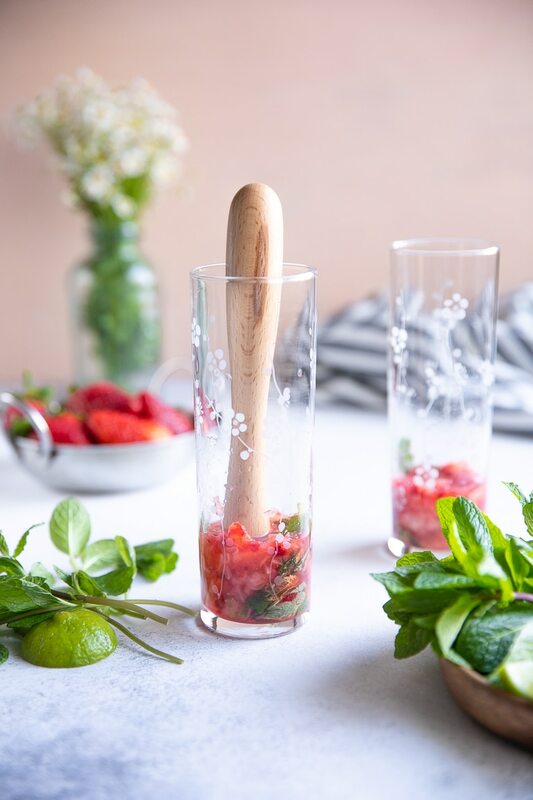 Use a muddler to gently muddle the mint, lime, and strawberries (but not too much as you don't want to break apart the mint leaves). Add the two remaining lime wedges and simple syrup to the glass. Muddle gently to release the lime juice, again being careful not to smash the mint leaves and break them apart. Fill the glass with ice and pour the rum directly over the ice. Top off each glass with club soda and stir just to combine. 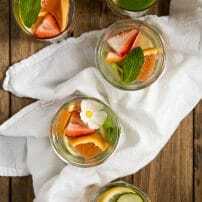 Serve garnished with a sprig of fresh mint, lime, strawberries, and a straw. Enjoy!